Scripps Memorial Hospital in La Jolla. 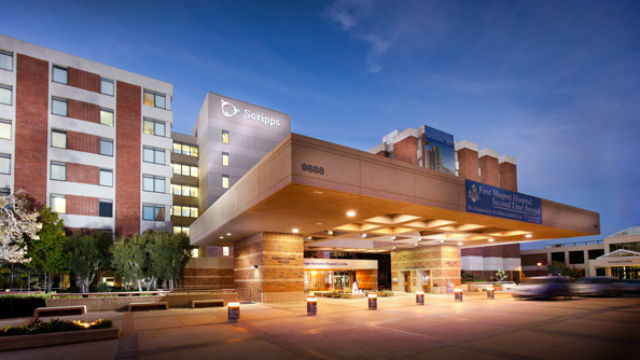 Photo courtesy of the Scripps HealthScripps Health invested $398 million into community benefit programs in San Diego County during fiscal year 2017, the nonprofit health care company announced Wednesday. The figure accounted for 14 percent of the company’s total operating expenses, according to Scripps. The vast majority of the money, $361.1 million, went to uncompensated care, which includes services that were under-reimbursed by Medicare and other government programs, as well as services for uninsured patients who didn’t qualify for government assistance. Scripps invested $29.4 million into health research, graduate medical education and professional education. Another $7.5 million went to community health services, including prevention and wellness programs.